In order to achieve the company goals, the employee plays an important role in any organization. There are a number of ways to motivate employees where many organizations motivate them by providing rewards, promotion, awards and enhance the productivity of the company. Few companies make use of analytical hierarchy process which takes into account both qualitative as well quantitative decision making processes. An outstanding employee is recognized who possess a certain set of attributes. There is a related criteria which the employees need to satisfy to get selected as the best employee of the year. The main intention for selecting the employee of the year is to pick an outstanding employee for his best performance and boost confidence within him and other employees to perform well in future. This is a form of rewarding employees. 1. The employee should be a productive one who is committed and possess quality in carrying out his responsibilities in an organization. The employee should be an asset to the organization as well as his department. 2. The employee should be an enthusiastic employee who is willing to take up more initiatives and accepts more of tasks apart from his regular job routine. 3. The employee should be recognized as one who is punctual and dependable in reporting duties. They should be ones who complete assignments on time and also takes part on additional responsibilities. 4. The employee should have a positive eye on work responsibilities, customers and colleagues, and should be one who stands as a role model for others. 5. During daily work of the employee, he must be able to deliver exemplary service in daily work and also notable contribution to the department. 6. The employee must be an expert individual in knowledge and experience in the department. 7. The employee must have the willingness to work in a team setting either within or outside the assigned team. Apart from all the above mentioned criteria, the employee should be well-versed in communicating with others, taking ownership so that reputation and promotion is protected, providing respect to other workers and employees, integrity where the employee is constant to their commitment, professionalism and teamwork. There are few criteria that are to be considered for nomination, where the employee must be a permanent employee working for full-time and can receive the award for once though they change work within the center. Once you are recognized with the employee of the year award, acceptance speech is bound to be given by the employee. You are responsible to give an speech of acceptance for your award received. You must have worked hard to earn the accolades at the same time, it is also important to brush up your public speaking skills. The right kind of planning and preparation can make you shine at your employee appreciation speech instead of suffering at the event. When you’re singled out for an award speech which covers up the complete year it is to be considered as huge honor and it is your duty to speak up in a humble and gracious manner about the scenario. The speaker should follow few basic rules at times of preparation and be presenting a thank you speech and make the speech an ever memorable one. Planning and preparation are the key tasks for any speech to be given. Though your speech is one minute long when an individual prepares and executes then there would be a response to a warm one and a tepid response. It would be a good advice to prepare well before stepping up the podium. You may have to stare at dozens or hundreds of audience and hence do not rely on your natural ability or your capability to think of your feet. According to the needs of the audience, the speech needs to be adjusted. A formal speech would be ample with an important guest; in the same manner, light-hearted affairs can have speeches with less serious tone. When you have less number of audiences, your speech can be more intimate and casual. Thank all the people who has brought you to this position hence start the speech with gratitude. Mention all the departments in the team that has helped you in the team, though you do not have time to mention all other people. The top management and the company owners are also to be thanked for their idea and support. You must also express your gratitude for getting an opportunity to work with such great people. Avert reducing the award to be humble, instead discuss the culmination of effort the award has recognized. You should remember that you won the award due to cooperation and support of other employees and hence it is mandatory to share the credit. Appreciate by showing them that they were also ones who help you get this award. Not everyone in the audience would be aware of you, hence introducing yourself stating a few words about you as an employee is important. Give a short speech with brief words of yourself so that the audience would get an idea about who you are. The one who owes the most for your success is your family members; hence thank them for their support. They are the ones who supported in an emotional, financial and other means. The appreciation and thanks must be shown in a public manner so that others also know that your family members have been a great support. The mission of the company is to have discoursed and steps that made the mission to be met are also to be discussed. You have already thanked all the departments and colleagues in the organization. A sense of pride is developed for the complete audience by focusing on the strength of the company. The important ideas and phrases from the company’s mission can be mentioned to show others that they are moving towards the mission. There would have been some inspiring person in your life that has inspired you and has passed on. Try to share a few points or report on that particular person and how they have helped you in a positive manner. Your award becomes more meaningful and more sportive when you speak more highly about the people you met in the competition. By this way, the sport is made a healthy one and you praise the competition. Apart from presenting your thanks and advice to your audience, it is equally important to mention the importance of the award. For Example, you can mention that the award is important because you have gained respect and importance from people whom you consider very esteemed and important. By this way, your sincerity is proven and you also gain an appreciation for the award that you received. It would not be an interesting or a memorable speech if you just stand before them and read out a formal speech. Make your speech interesting by showing your sense of humor if you have one, present your crusty side of your personality if you have such type because audience would love you see in that way. You can also make the speech funny by showing humorous reference to your appearance, age, ability and more so that your audience would be more entertained. End the speech by indicating the year ahead, the goals and initiatives that are to be met in the upcoming year. By this way, you are able to motivate the audience and help them concentrate on the possibilities that are waiting ahead. Wrap up the conversation with a powerful ending which makes your speech memorable. Make sure to keep your acceptance speech interesting and short for the audience. Remember that your acceptance speech should be one which your audience always wanted to listen and not bored and look their watches. When your speech is long and boring the rapport you built so long would face exhaustion. The best employee of the year letter has the sample candidate name mentioned with pleasure. The employee designation either it’s full-time or part time is mentioned in the letter with the year. The reason for being elected as the employee of the year with all the attributes is mentioned in the best employee of the year letter. The main purpose of the letter is written in the letter. The letter is addressed to the appropriate party and is written in a paragraph format. The length of the letter could be about one or two pages, which mentions the achievements, accomplishments and other qualities of a good employee or best employee. The content of the letter has separate sections which mentions why the employee is elected as the best employee of the year. Education, credentials, and other related activities that happen outside the environment are also mentioned in the section. The model summary is also mentioned which describes the reason for why the candidate is the best role model for other candidates. A special certificate is presented to the employee of the year in an organization. The certificate is designed in a very beautiful way and presented to the employee of the year. The main contents that are included in the certificate are employee’s name, performance of the employee and the authority signature. There are services who prepare you with certificates when your requirements are offered to them. The fonts and styles can be mentioned by the organization. The format, font and pattern may be more or less the same in all best employees of the year certificates. A blank is provided for the name of the employee to be written by the higher authority. The pattern, color and border for the certificate can also be designed from a number of patterns that are available. The employee is honored with a certificate which makes the event a memorable one than any other gift.These are a few aspects that are followed in order to pick the employee of the year. The selection is made on each criterion as mentioned above. 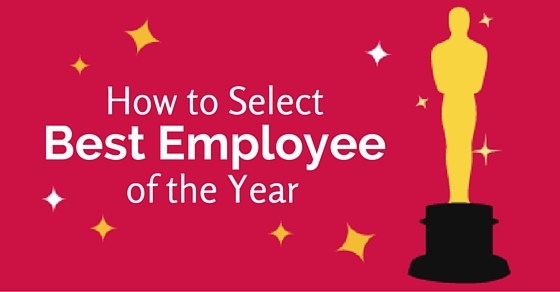 These are a few aspects that are followed in order to pick the employee of the year. The selection is made on each criterion as mentioned above. When an employer offers the best performance and satisfies all the criteria, he is picked as the best employee of the year. The speech is an important part of any employee where he needs to follow certain aspects to make the speech a meaningful one. The certificate format and aspects used to formulate the certificate is another important part that fulfills the event for the best employee of the year. Hence all these aspects are fulfilled and the best employee of the year is selected by the committee after serious analysis. The best employee of the year is a real hard worker and deserves such an award, honor and credit.